What Would Oskar Fischinger Think? 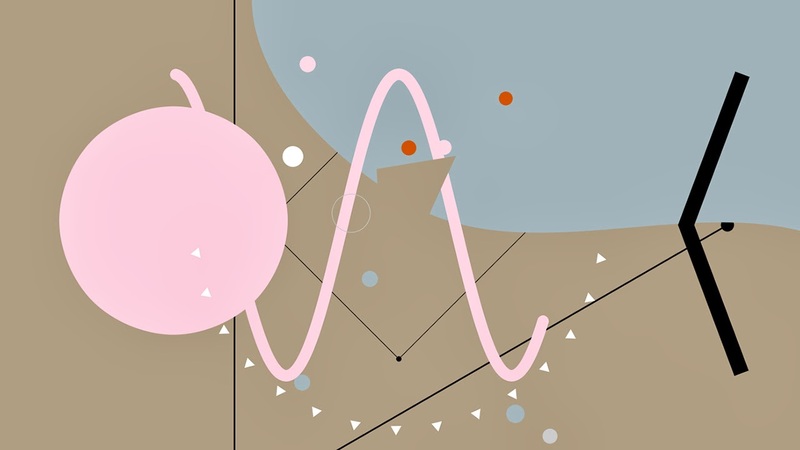 Patatap is a browser-based abstract animation and sound package that works off a keyboard. It was developed by Jono Brandel and the musicians at Lullatone. You can read about it here and can try it here. It's fun! Instant animation gratification. This year, Sheridan Animation's industry day is Thursday, April 24. Here's an advance peek at this year's student films. "And you're right, the model is changing in many ways, and I don't want to keep doing work-for-hire, piecemeal stuff where you get your little bit of money to design, and then someone else owns the franchise, and you're creating everything for them, and you're just waiting for that next job, and hopefully that next job will come. It's always chasing other people's ideas, and for me that's why it was so important to keep trying other things. I realized we live in the greatest time ever, where if I want to create an app, I can do it. If I want to publish my own book, I can do it. That's what's exciting to me, and that's why I do it." "That's why I'm a firm believer in entrepreneurship and building your own brand and creating something where you can deal directly with the consumer. The consumer is the one with all the control. They're the one who makes the choice whether they want to buy this drawing or that drawing, this book or that book, this T-shirt or that T-shirt. It doesn't matter where they get it. And more stuff is going online. I can get whatever I want online, and I can go directly to the artist I like." Character designer Stephen Silver is interviewed in the latest issue of Draw! magazine, now out in comics shops and available online (including a .pdf version) from the publisher. There are many books that describe the jobs in animation in a bloodless manner. They lay out the procedures but do it as a mechanical process, devoid of human influence. The truth is that the human element is embedded in every part of the process, and managing it is often the toughest part of the job. Tony Bancroft is the co-director of Disney's Mulan and has also worked as a feature animator and animation supervisor. His book, Directing for Animation, confronts the messiness that comes with the role of director. While the public might think that the director is the one in charge, the truth is that the director is in charge of keeping everyone else happy. Caught between the financiers and production managers on one side and the crew of artists and technicians on the other, the director has to keep all parties satisfied while trying to establish a vision for the film and keep it on schedule. Bancroft takes the reader through the process of directing a feature, dealing with each stage of the production and the pitfalls to look out for. In addition to his own experiences, he interviews other directors, most with feature experience: Dean DeBlois, Pete Docter, Eric Goldberg, Tim Miller, John Musker, Jennifer Yuh Nelson, Nick Park and Chris Wedge. Bancroft is a good interviewer and it helps that he knows what questions to ask. The interview subjects are forthright in talking about their experiences. As they are talking to a fellow director, they don't sugar-coating their stories as they might for an interviewer from outside the field. These interviews add considerably to the range of experiences a director might face. The interviews with Goldberg and Miller are particularly insightful, as their experiences are not limited to features. Goldberg directed commercials for years and Miller, a founder of Blur Studios, has done commercials and game cinematics. As they have worked on shorter projects, they have confronted a greater variety of artistic, technical, financial and political challenges. 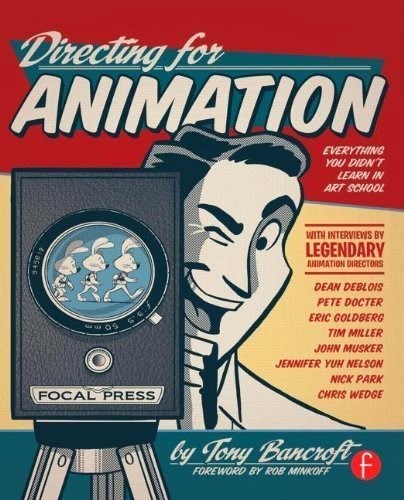 This book is a good companion to David Levy's Directing Animation. Bancroft's experiences are west coast, Levy's are east coast. While Bancroft focuses on features, Levy talks more about television and independent films. Between the two books, a prospective director has a wealth of information to draw on and a list of problems to watch out for. Neither book, however, gets to the nitty gritty of how directors make their creative choices. Those choices include story, casting, voice direction, art direction, staging, animation, lighting, editing, musical scoring, sound effects and mixing. I hope that someday a feature director publishes a diary of a production or allows a writer to shadow the director so as to provide the thinking behind each decision as it arises. Until that time, this book will give readers with the ambition to direct a feature a good grounding in the challenges that they will face. Even casual fans of the medium will learn more about how the films they enjoy come together. Who Will Succeed Robert Iger at Disney? The names Jay Rasulo and Thomas Staggs don't mean much to animation professionals or fans right now, but the Los Angeles Times speculates that one of them may be Robert Iger's successor when he retires in 2016. I wonder if they would consider Jeffrey Katzenberg. I'm not joking about that. While Robert Iger has been using Disney's money to buy everything in sight, Katzenberg has been building an organization from scratch and diversifying it so that it is stable enough to survive any problems. Katzenberg also has his own record of success at Disney. There are many worse candidates out there. With the exceptional profitability of animated features, combining Disney, Pixar and DreamWorks makes sense from a business standpoint, if not an artistic one. Who knows? Since Robert Iger is running out of things to buy, maybe DreamWorks and Katzenberg are already on his list. "While problems in a ﬁlm are fairly easy to identify, the sources of those problems are often extraordinarily difﬁcult to assess. A mystifying plot twist or a less-than-credible change of heart in our main character is often caused by subtle, underlying issues elsewhere in the story. Think of it as a patient complaining of knee pain that stems from his fallen arches. If you operated on the knee, it wouldn't just fail to alleviate the pain, it could easily compound it. To alleviate the pain, you have to identify and deal with the root of the problem. The Braintrust's notes, then, are intended to bring the true causes of problems to the surface--not to demand a speciﬁc remedy. We don't want the Braintrust to solve a director's problem because we believe that, in all likelihood, our solution won't be as good as the one the director and his or her creative team comes up with." Here is an excerpt from Ed Catmull's soon to be published book Creativity, Inc. The public thinks of Disney movies as entertainment. Artists may think of them as inspiration. Ron Suskind describes how Disney movies were the key to his autistic son overcoming isolation and learning to deal with the world in an excerpt from his book Life, Animated, to be published April 1. The story is inspirational for watching someone overcome obstacles, but it's a reminder of the power of communication. We don't consider what we're communicating in animation often enough, but Suskind's story should remind all of us that what we're communicating matters. "When working with material objects they look at you and demand attention. They tell you things and maybe you wouldn’t otherwise be so perceptive. It is about the process and listening to the things around you, hearing and what they can tell you. That takes time." 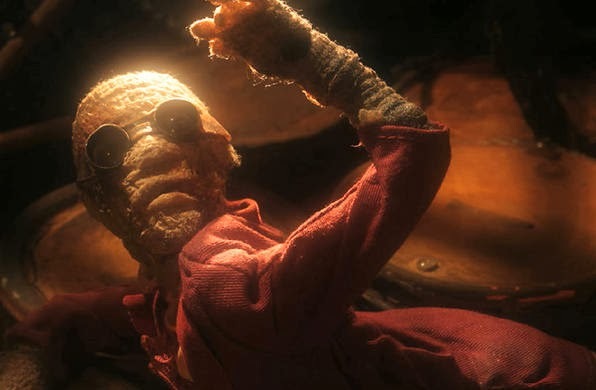 Friend and fellow Sheridan instructor Chris Walsh interviews stop motion and effects wizard Phil Tippett about his independent production Mad God. Tippet talks about his influences, the nature of physical objects and the opportunities from crowd funding.